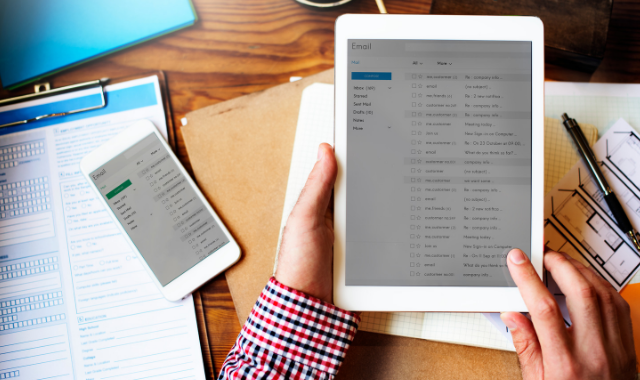 Email marketing is a great tool for establishing relationships with potential customers, current customers, and even past customers because it gives you the opportunity to reach out to them directly through their inbox. But in order for email marketing to be to be an effective tool of communication, the email must get to the mailbox and must be read. Service providers and end users filter aggressively against spam, and you need to make sure your messages don’t get caught by those spam filters. There are four main factors which affect deliverability; three of them are directly under your control, while the other is a matter of user behavior (which is still a directly connected to what you send). An obvious factor affecting email deliverability is the subject line and actual content of the messages. Using “spam words” can get a message blocked, even if they serve legitimate business purposes. Avoid overusing expressions like “free,” “must respond today,” and “urgent.” This is especially crucial when crafting a subject line. Anything that looks too good to be true is likely to be flagged – a straightforward description is more likely to get through. Also, don’t overload the message with images. Having a message that consists of one big image may look great when you compose it, but the odds of it being flagged as spam are high. A good rule of thumb: email content should contain around 40% images and 60% text. Be careful with your links. A link to a website with a bad reputation will land your messages in a black hole. Always include a clear unsubscribe link and the sender’s physical mailing address. Do not use excessive capitalization or punctuation. Your sending domain or Email Service Provider (ESP) carries a reputation that affects deliverability. If your domain has a good reputation, your chances of successful delivery are good. If you are blacklisted because you made a mistake or someone started a campaign of malicious complaints, make fixing your reputation a priority. The “From” address should always use a domain which your business controls. Using Hotmail or Gmail addresses for business mail looks unprofessional and is likely to get your messages blocked. Further, periodically run your domains through a blacklist checker, like MX Toolbox. That way you know if you’ve been flagged for spam or other complaints that could lead to blacklisting. Additional tip: Consider having different domains for marketing emails vs transactional, that way if one becomes compromised or receives complaints, you can continue sending from the other. The Internet Protocol address is a numerical identifier of the sender’s server. All devices connected to a computer network have an IP address and thus every email is sent from one. As long as you keep it secure, no one else can send mail from it. An IP address reflects the reputation of the sender, which is based on several factors. Send volume: the number of emails sent. Send frequency: the number of campaigns that are deployed per week or month. User interaction: individuals who open and click — and complain or unsubscribe. Quality: percentages of bounces or undeliverable emails. Some service providers issue a pool of IP addresses that all their customers share. If your sending volumes are small and you can benefit from the pooling volume (with other senders), make sure you educate yourself on their best practices and look into their efforts on ensuring a good IP reputation. If your sending volume grows and you need to use a dedicated IP address, remember that it has no previous history – meaning that its reputation, good or bad, is up to you. Start small and gradually increase the number of emails you are sending. Begin by sending to your most engaged audience – this sends good signals to the mailbox regarding your reputation. As mailboxes begin to regard you as a responsible sender, you can increase the number of emails you are sending. The way recipients treat your messages can affect the likelihood that they’ll receive your future ones. If they delete your messages without reading them, then smart filters will take that into account. If they do it consistently, the filters will start marking everything you send as spam. If they file reports, their providers will take note. Enough complaints will result in your mail being blocked. So how do you avoid this? Be strategic with your content. Follow an opt-in policy, make it easy to unsubscribe, and keep the amount of mail within reasonable bounds. The quality of your mail, not the quantity, is what will get engagement. Follow good email practices, and you’ll get people reading it. Be sure to keep your content fresh and interesting, and analyze data to understand what readers want to read, and what they commonly ignore. If you need help with your email marketing or want to get started with an ongoing email marketing program, contact us today.